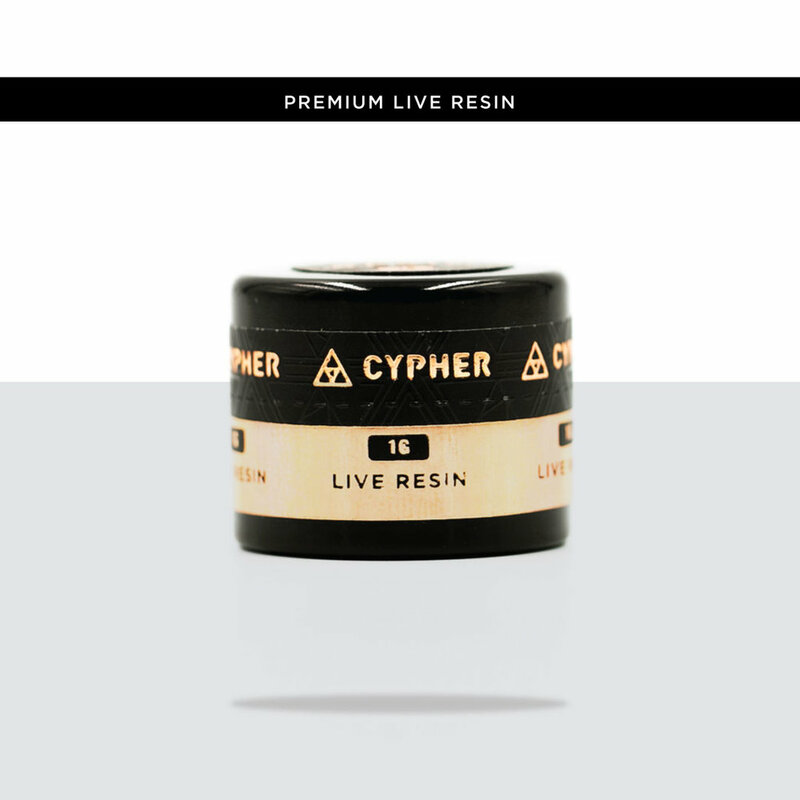 All materials for Cypher concentrates are hand picked by experts based on aroma, potency, and cleanliness, then processed by the best extraction artists California has to offer. 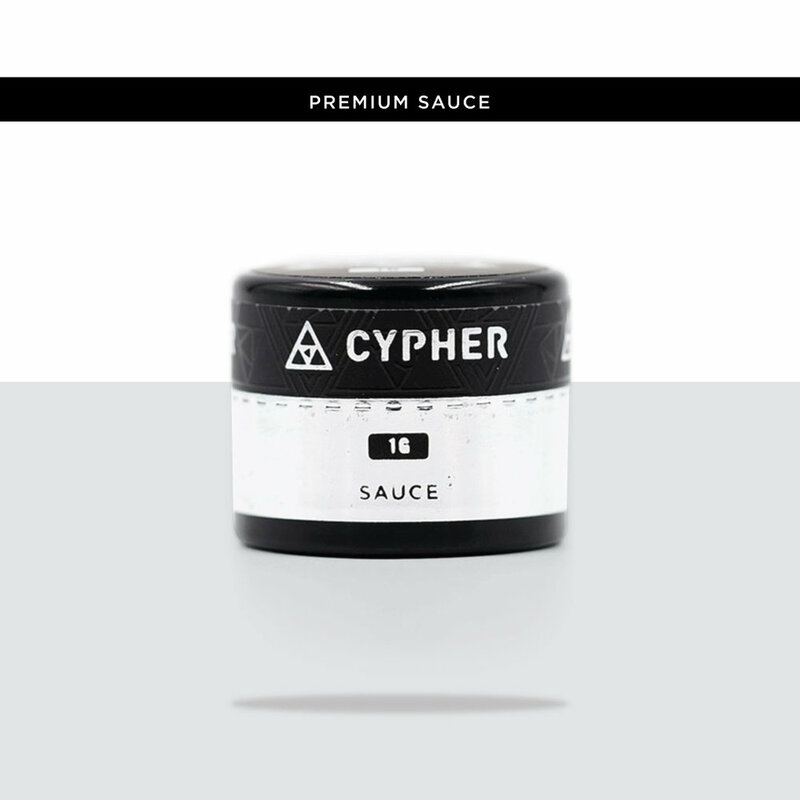 Cypher offers three unique premium concentrate categories: Live Resin, Sauce, and Shatter. Live Resin is extracted as quickly after harvest as possible. Often times the material is immediately frozen to preserves the fresh terpenes that make up the flavor of each individual strain. Sauce is a combination of THCA diamonds and High Terpene Extract (HTE). The THCA provides high potency while the HTE provides incredible flavor and strong effects. Shatter is a very potent and transparent concentrate. The consistency can be anywhere from sticky like taffy to hard like glass. 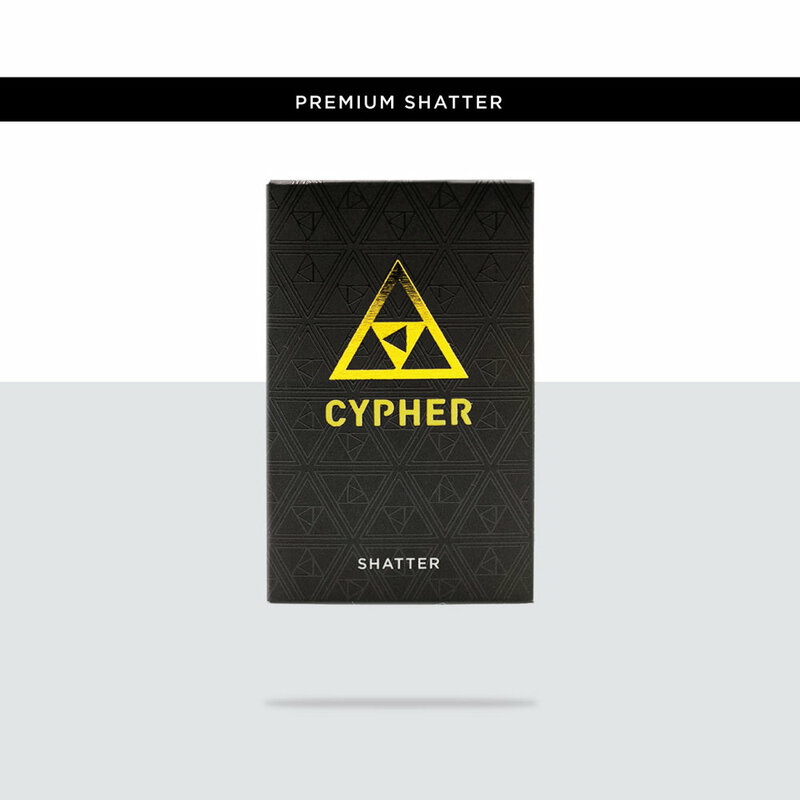 Unlike many shatter products on the market, Cypher shatter provides not only high potency but also great flavor.